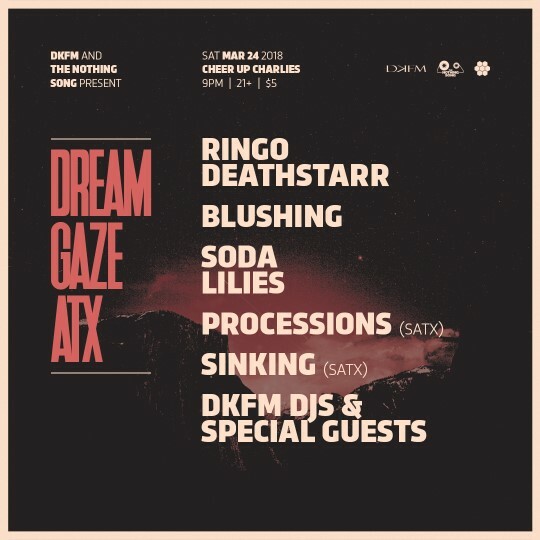 EVENT SPOTLIGHT: DKFM & The Nothing Song Present DreamGaze ATX | Night Two. 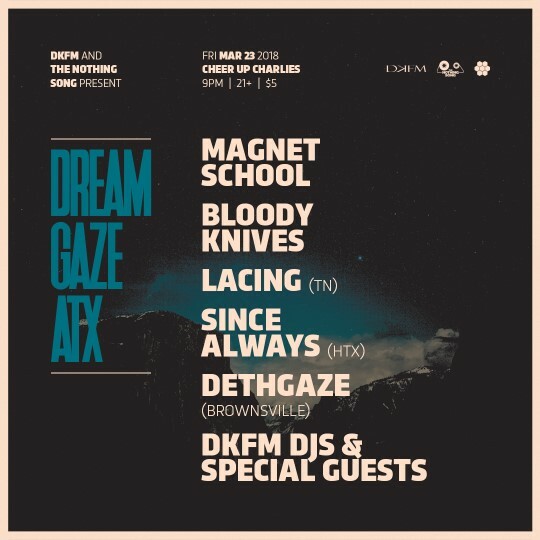 DreamGaze ATX is nigh! The festival, proudly presented by DKFM Shoegaze Radio and The Nothing Song, hits Austin this weekend (Friday, March 23 and Saturday, March 24), just five days after the commercial extravaganza known as SXSW drags itself out of town. Don’t let the pedal board hit you on the way out, corporate sponsors! Now it’s our turn to get loud. Austin-based trio Ringo Deathstarr is one of the genre's brightest stars and needs no introduction. You love them, we love them, people all over the globe love them – it’s impossible not to love them. It’s a Thing. They are the heartbeat of the shoegaze resurgence. Their most recent offering, Pure Mood, was one of the best albums of 2016, and the band's fifth LP is currently in the works. Best of all, as a live act, Ringo brings the epic noise. Prepare to be blown away. Austin based 4-piece Blushing is an absolute powerhouse of talent and charm. 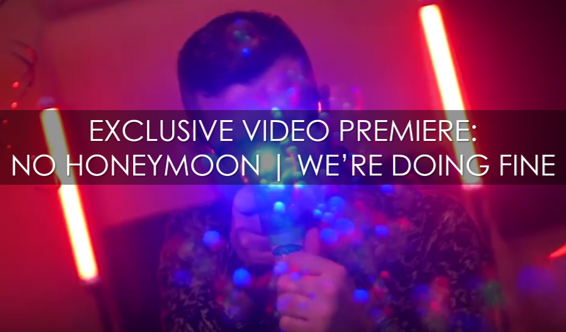 Their debut EP, Tether, was one of 2015's seriously buzzworthy releases. A sophomore EP, Weak, just dropped in January and features the kind of next-level dream pop perfection that raises the bar for everyone in the genre. This is gold standard-level stuff, people. You can count on Blushing’s high-wattage sparkle to be shining bright on stage this Saturday. Austin-based Soda Lilies, recently expanded to a 4-piece, has changed the game with their pop-oriented approach to seriously deep fuzz. 2016’s debut, Love Cemetery Tapes, offered an impressive set of skillfully crafted lo-fi anthems. Their newest, Sleep Reel, shows them continuing to hone their pop chops while maintaining the surrealism and dense noise we love them for. Now signed to Burger Records to release their forthcoming sophomore LP, Soda Lilies are ready for lift off. Processions is a San Antonio-based 4-piece that debuted last summer with their strong EP, Blush. November 2017 saw the release of their sophomore EP, Slow Decay, which garnered even more attention for these up-and-comers. Since then, they’ve been playing shows left and right and burning up the DKFM charts with their catchy brand of hazy ‘gaze. Processions is just starting to make their mark in the genre and we expect great things from this quartet. San Antonio-based Sinking is new on the scene after releasing debut EP, Lazy Love, last November. The EP’s 3 songs got DKFM’s attention and went into station rotation immediately, where they continue to chart and impress more listeners every day. Sinking is one of the freshest talents in shoegaze right now, making their appearance at DG ATX a true finger-on-the-pulse moment. Be there.